It's super easy to test drive SierraVMI. 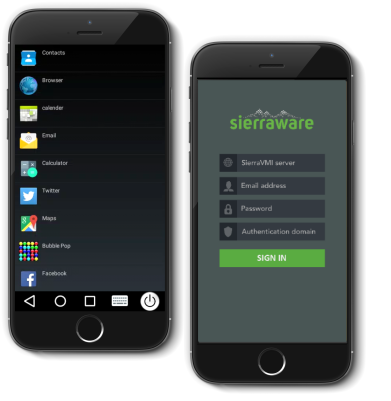 Just download the SierraVMI client from Google Play or Apple App Store and complete the form below. We will email you the demo user name and password. Then connect to vmi.sierraware.com to access Android apps remotely. Success! We will email you the SierraVMI user name and password soon.